GeishaGlam by C+I ~ The Butterfly Is Back! Guess what!? 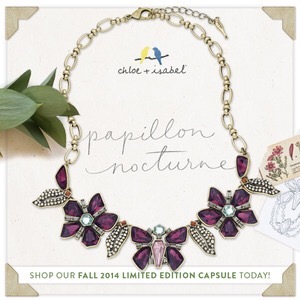 Our Papillon Nocturne Statement Ring is back by popular demand… by VOGUE! We will have this $34 piece ***in limited quantities*** for the holidays. So get yours, while you can, and go for the matching necklace, too!!! You’ll get a free pair of earrings and free shipping, if you spend over $125.